Damian Browne again rides Megablast who will be out to add the Queen’s Cup to the Caloundra Cup. Tough kiwi stayer Megablast will need to set a modern day weight-carrying record if jockey Damian Browne is to complete his list of Caloundra feature wins. Browne, who will be riding on a stay pending an appeal on a handling charge, partners Megablast in Saturday’s Group Three Queen’s Cup (3200m) at the Sunshine Coast track in what will be his final start for trainer Nigel Tiley. 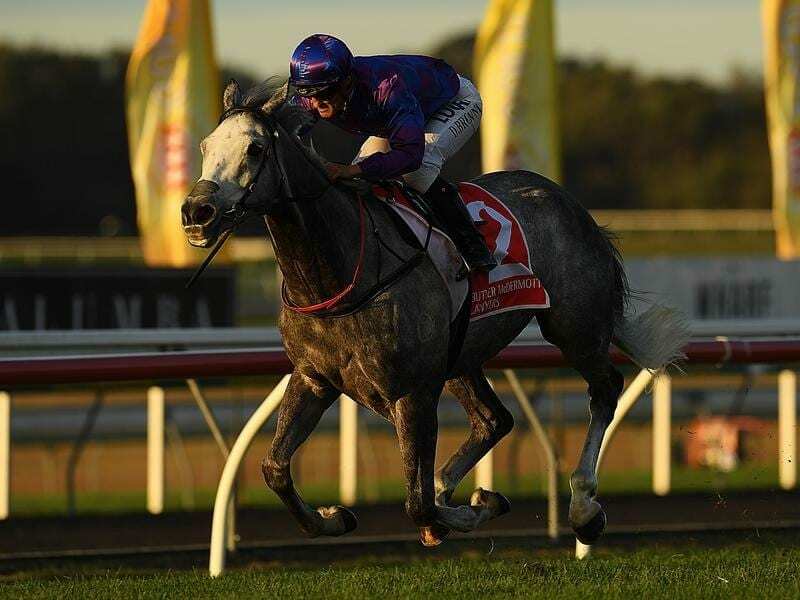 Megablast gave Browne his third Caloundra Cup two weeks ago when he won the 2400m-race carrying 58kg. Browne, who will win his ninth Caloundra premiership this season, has also won three Sunshine Coast Guineas, a Glasshouse Sprint, and two Sunshine Coast (Summer) Cups. He is yet to win a Queen’s Cup at Caloundra which would give him the complete set of stakes races. The Queen’s Cup is doubling for the Queensland Cup this year and the race is being run at Caloundra for the third time. The Queensland Cup has been run since the 1870s and has usually been won by lightly weighted horses. The tough stayer Zarook held the modern day weight carrying record at 57.5 kg for nearly 50 years before Mister Impatience carried 58kg to win in 2015. Megablast has 60kg on Saturday but Browne believes he is up to the task. “Nigel did a great job to win the Caloundra Cup with him because he hadn’t run for a month,” Browne said. Megablast has had one run at 3200m finishing fourth in the 2017 Auckland Cup. Tiley brought Megablast to Australia for the Brisbane Cup but the horse missed the race because of a minor leg injury. The former Group one winning jockey then switched Megablast’s campaign to the Caloundra Cup and Queen’s Cup. Tiley said Megablast would not be returning to New Zealand as he believes he will be better placed in Australia. “He will be weighted out of most races due to the handicapping system we have at present,” Tiley said. “The system just doesn’t provide for horses like him, so he is better off staying in Australia where he can compete on a better scale and for some decent money.